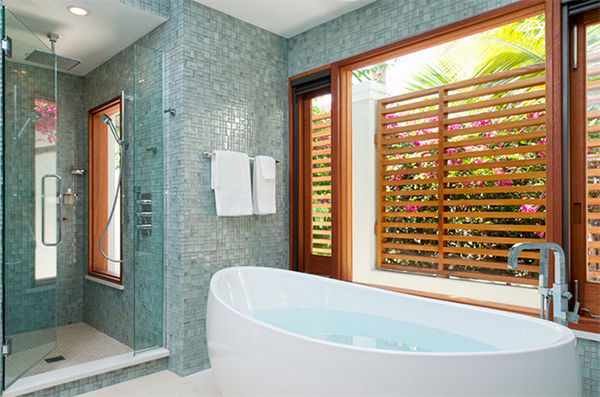 We would all agree that a bathroom would have tiles flooring and even walls. Most of the time, bathrooms appear like this and yes, it is how a clean and beautiful bathroom looks like for most of us. 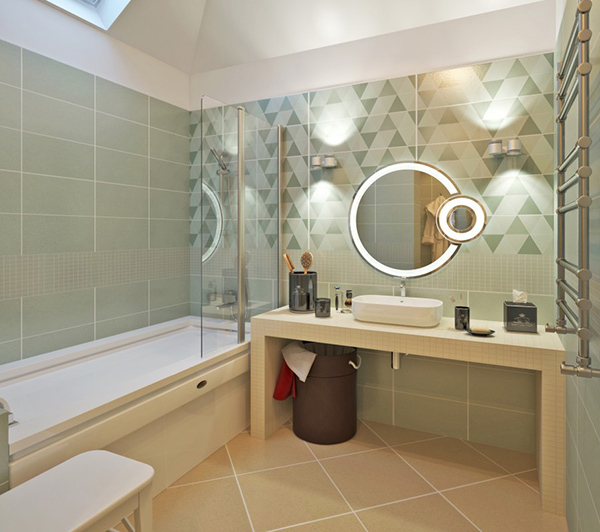 But aside from the usual white tiled bathrooms, there are also other tiling styles and designs that we can use to make this space look more creative and attractive at the same time. 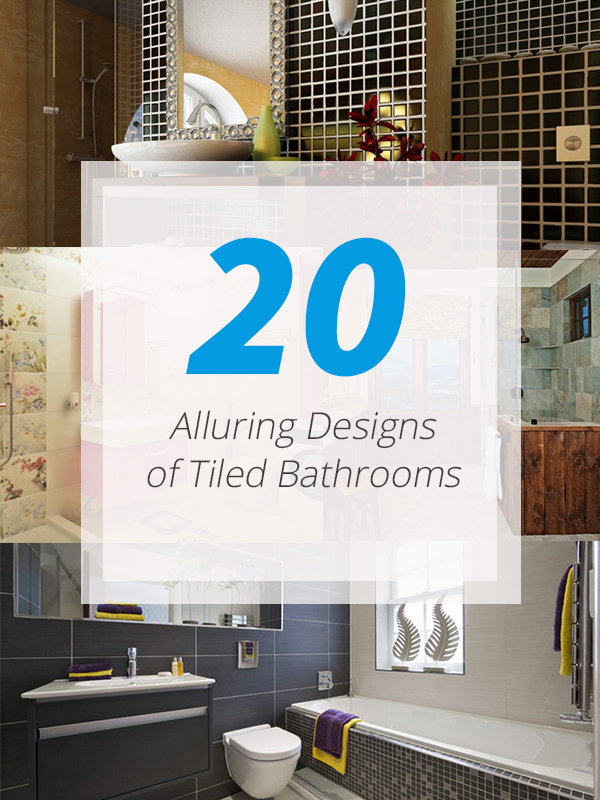 I know you have seen many tiled bathrooms but allow us to give you a list of gorgeous bathrooms with tiles. You can actually play with colors and printed tiles too. Some have creative manners of arranging the tiles while still others use tiles with lovely textures and designs. 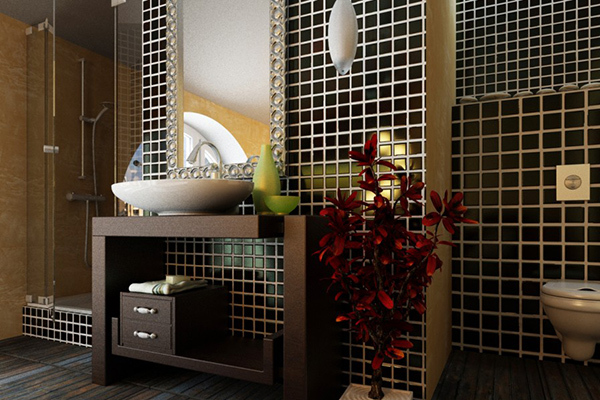 Come take a look at some tiled bathroom spaces. 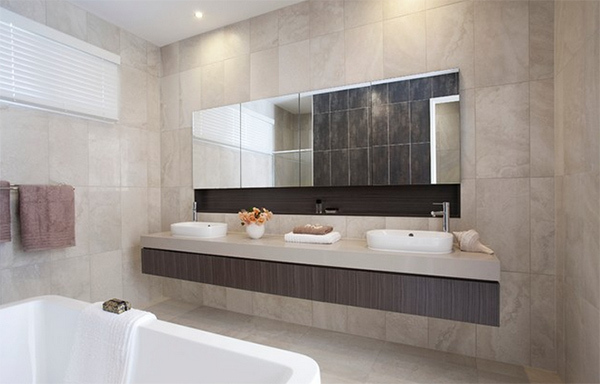 A contemporary bathroom with some natural texture on the tiles giving it a subtle Zen feel. This one has a similar ambiance to the space above but the tiles are lighter in color. Subway tiles were used here for a classic and timeless look. Green, white and black mosaic tiles were used for the wall while cream tiles where used for the floor. 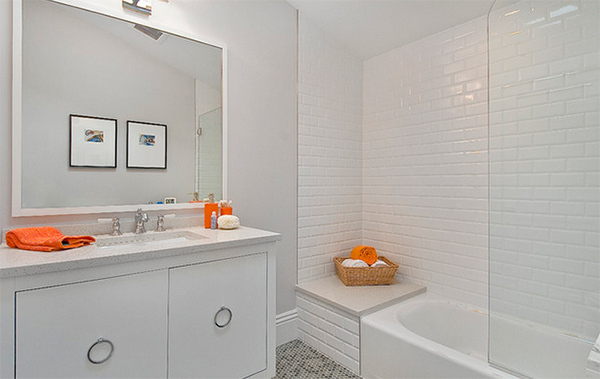 Nothing beats the beauty of a tiled bathroom in white. Looking really clean! 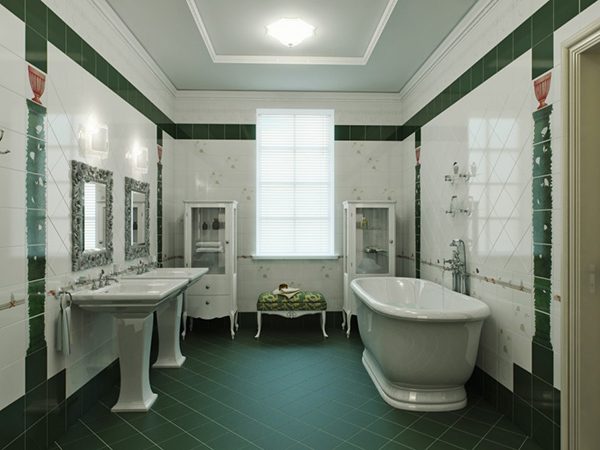 Beautiful decorative green ceramic tiles were used for this bathroom. Meanwhile, the flooring is in white. 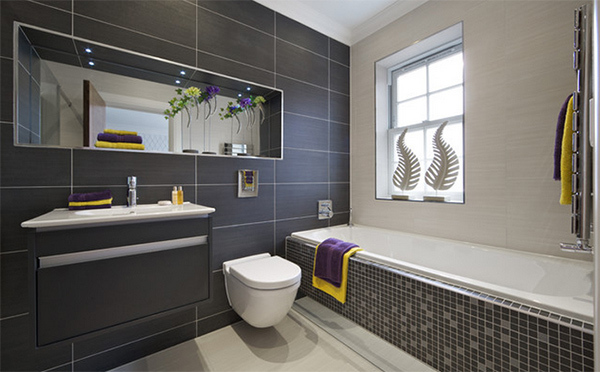 Large brown tiles look nice in this bathroom. To avoid a dark space, glass was used for the shower. 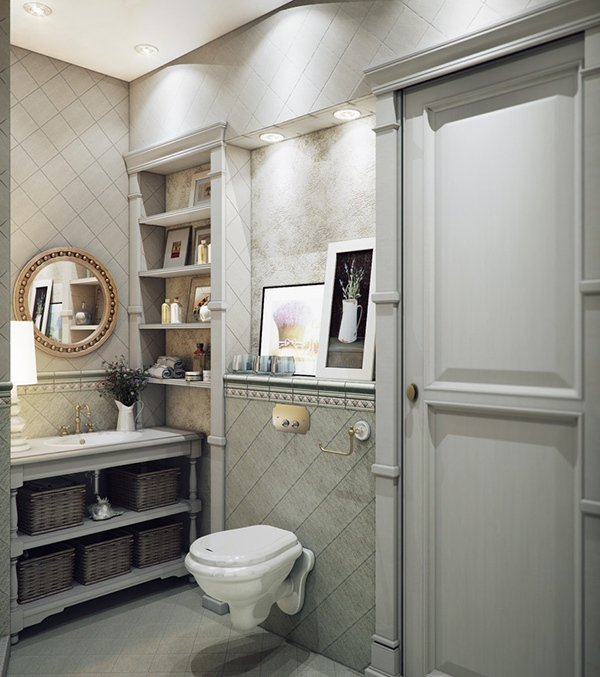 Love the look of this bathroom! Who says using black tiles is dull and dark? 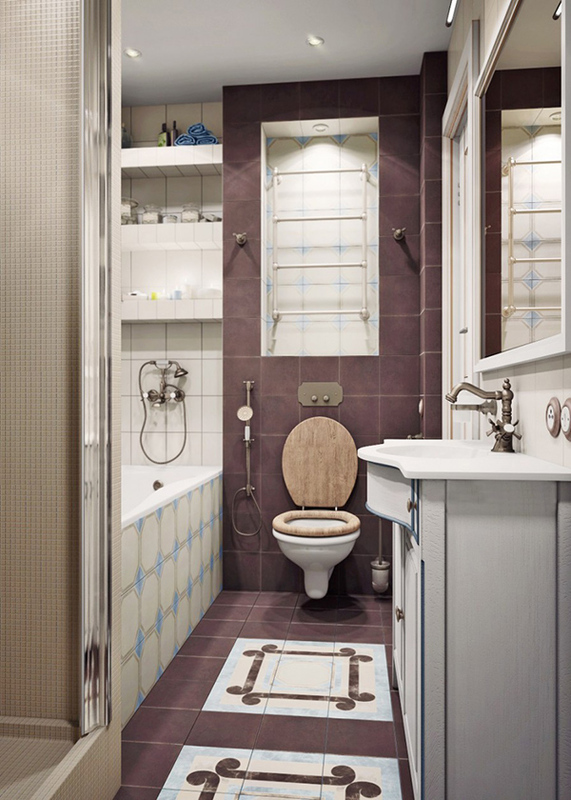 You can see decorative printings on the tiles used in this bathroom with intricate blue design. This bathroom used different styles and sizes of tiles. Isn’t it lovely? 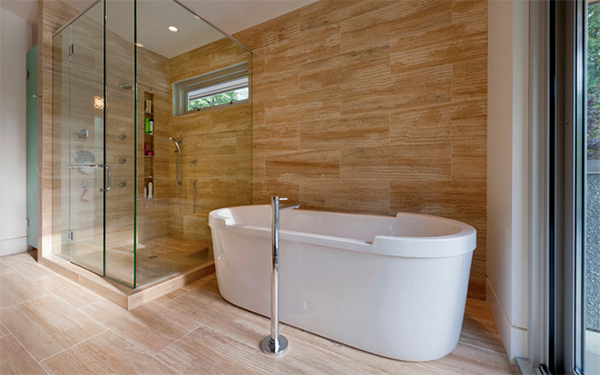 A bathroom that looks gorgeous in natural texture mimicking the color of sand. 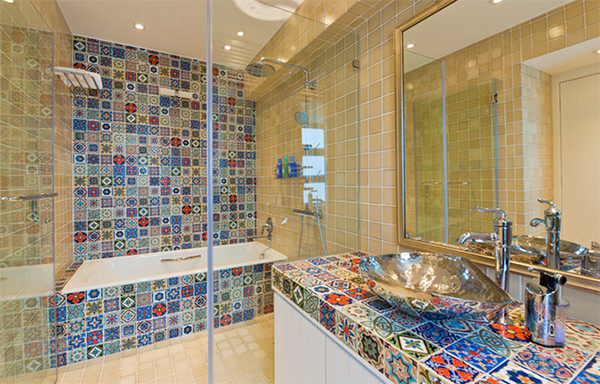 Go Moroccan with different patterns and colors for the bathroom tiles. Pair it with a plain light colored tile so it will not look too busy. The flooring and the wall used similar tile design that reflects stone. You can also use tiles this way so it will look like a diamond. 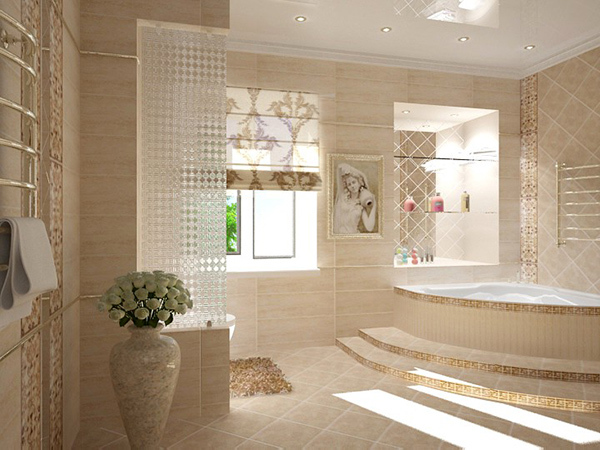 Such a pretty and relaxing bathroom with a sophisticated appeal! Just look at the tiling and all! 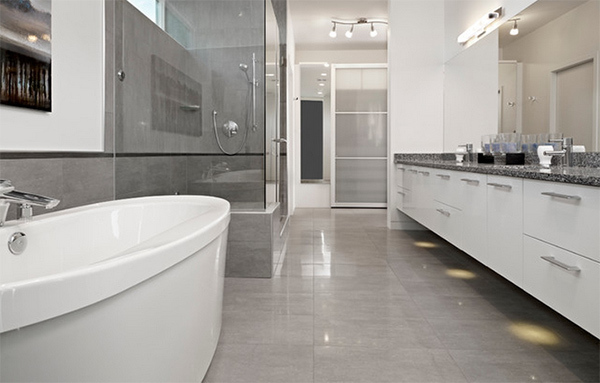 A modern bathroom in gray with a floating vanity to make it appear visually larger. 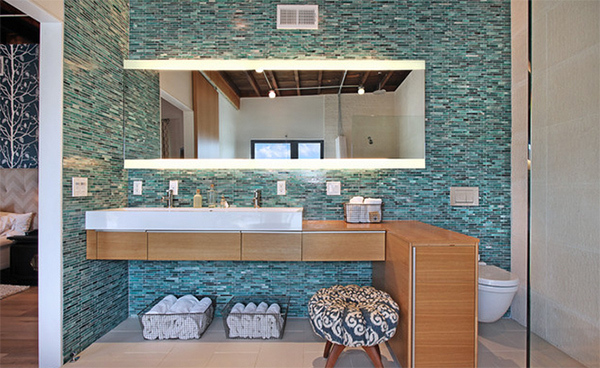 For the bath tub area, rectangular mosaic tiles were used that complements with the flooring. Who wouldn’t love that green pillar made from tiles? With ones creativity, anything is possible! Floral wall tiles could give the feel of Spring to your bathroom. 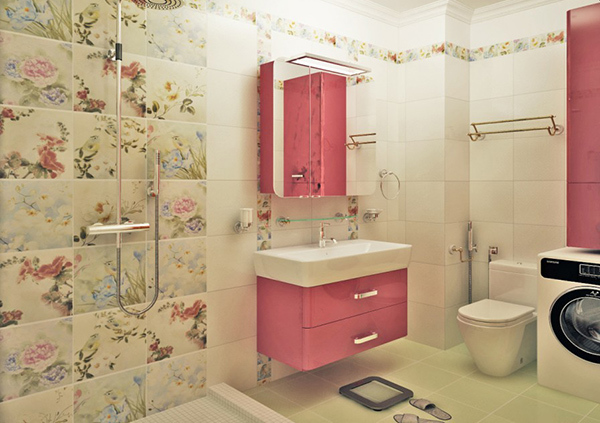 This is so girly but not childish at all! 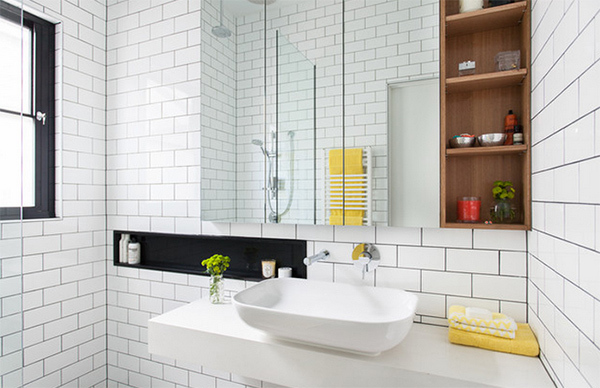 Black tiles with white grout could do amazing things to a space just like this bathroom! 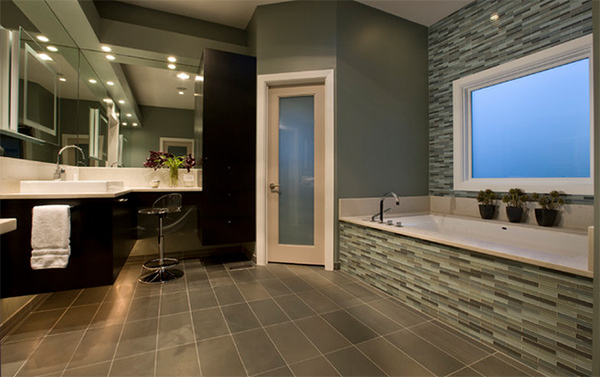 A tiled bathroom looks neat indeed! 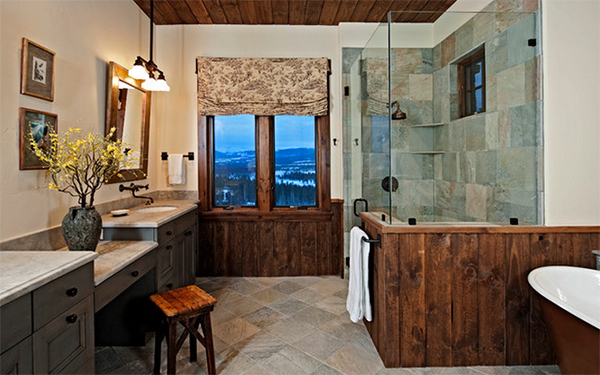 But when you play with tile designs and styles, the bathroom looks even better just like the spaces above. You can even give it the kind of appearance and theme you want. Make sure that when it comes to tiling work, you only hire a tiler that knows what is best for your space. 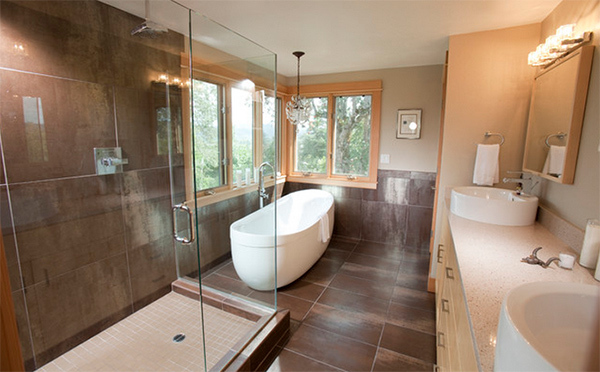 Do you like the above bathrooms? Wow Johna !!! I just loved all your pics. I also shared some of them on my Facebook wall. This will helps me a lot during bathroom renovation of my own house. Heya, lovely pics. Nice post. Some of the designs are picturesque.